If you want to be master in spring core, you can go for its certification too. You can go through spring certification questions which I found useful. 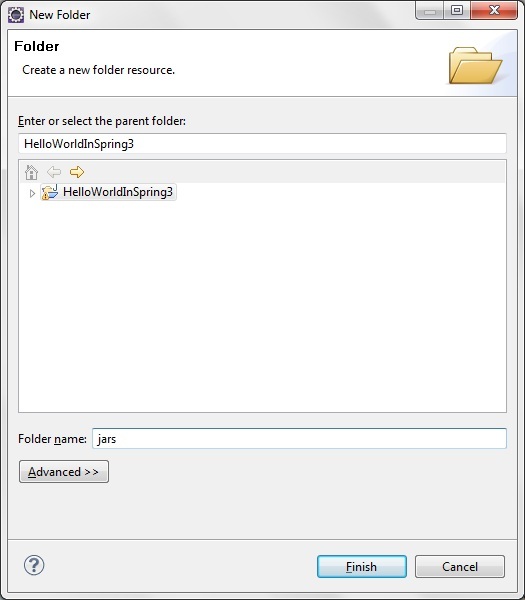 After having some basic understanding of spring framework now we are ready to create Hello world example. Now we will add the Spring 3. libraries to the project. 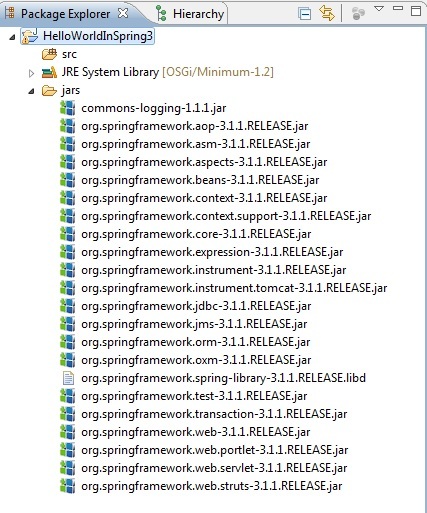 Extract the “spring-framework-3.1.1.RELEASE-with-docs.zip” file if you have not extracted. 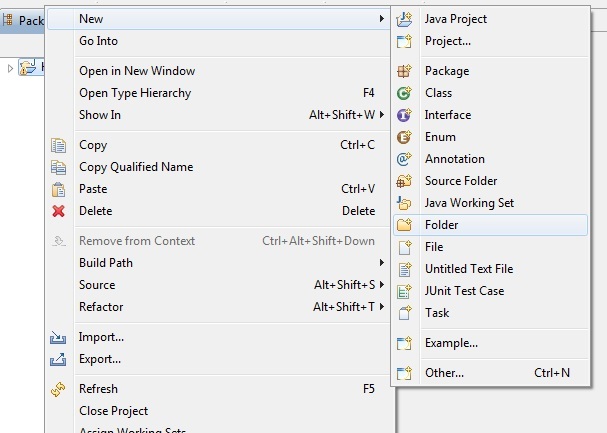 Now go to the “dist” directory of the and then copy all the jar files (Ctrl+C) and paste on the jars directory (of our project) in the Eclipse IDE. 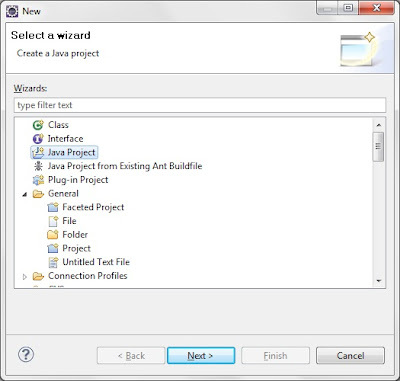 Then find the commons-logging.jar from extracted folder and also copy this file into Eclipse IDE. You will find this library into spring-framework-3.0.0.RELEASE-with-docsspring-framework-3.1.1.RELEASEprojectsspring-buildlibivy folder. Now add all the jars to “Java Build Path”. 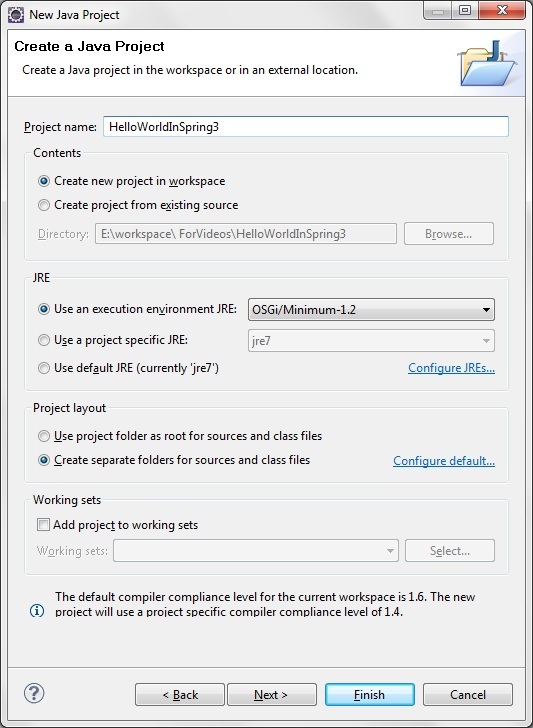 Right click on the “Spring3HelloWorld” in project explorer and then select properties. 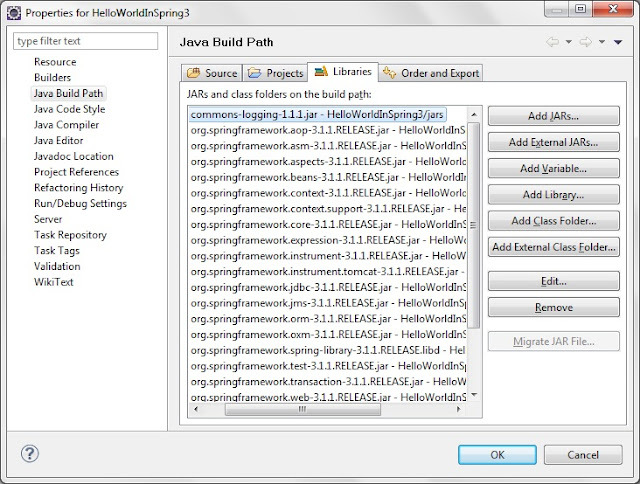 Then select “Java Build Path” –> Libraries and then click on the “Add JARs” button. 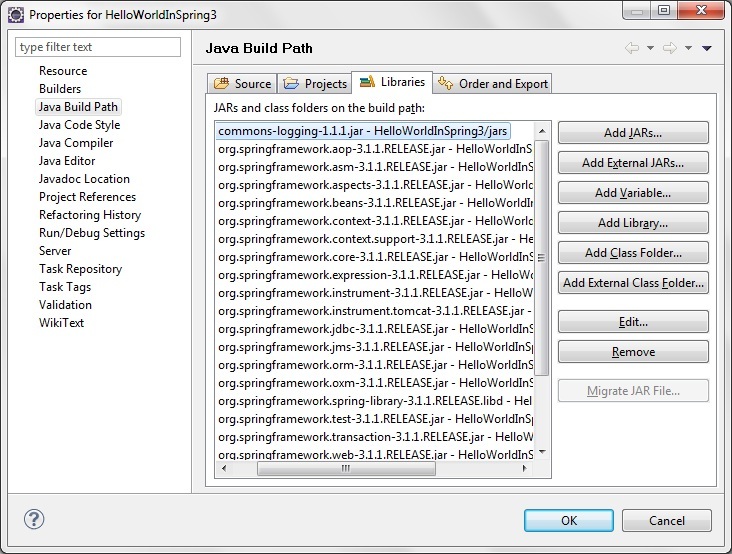 And add all the libraries to Java Build Path. tag is for defining a single bean. “id” is for providing unique identification to bean. “property” is used for defining attribute of bean class. 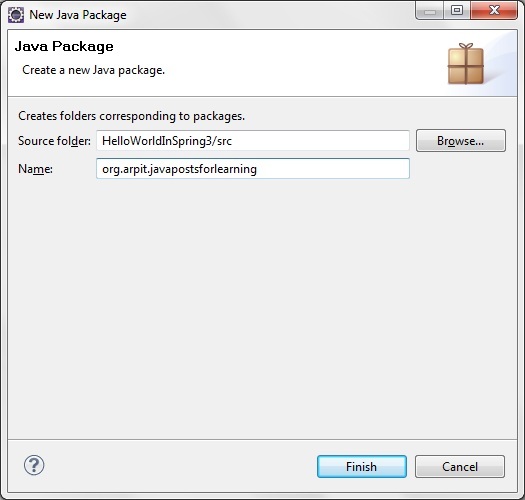 The above xml file declares the spring bean “Spring3HelloWorldBean” of the class org.arpit.javapostsforlearningSpring3HelloWorld. 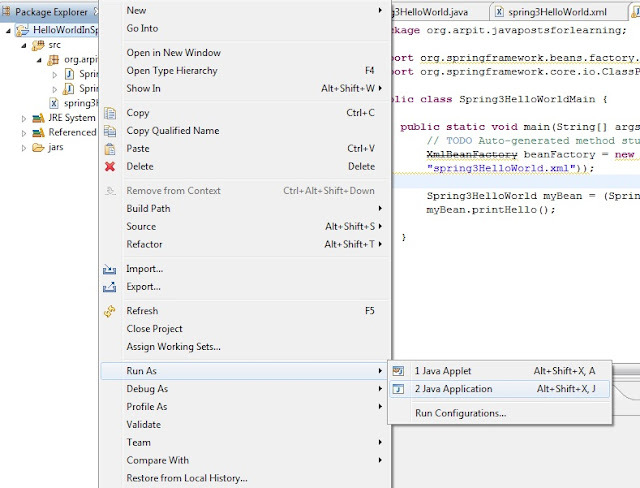 In the above code, we have created the instance of ApplicationContext and the retrieved the “Spring3HelloWorldBean”. Then we called the printHello() method on the bean. That’s all about Spring hello world example. In next post, we will see dependency injection via setter method.